Based in Leatherhead, the Surrey Plastering Man are a professional plasterers company with over 30 years experience. 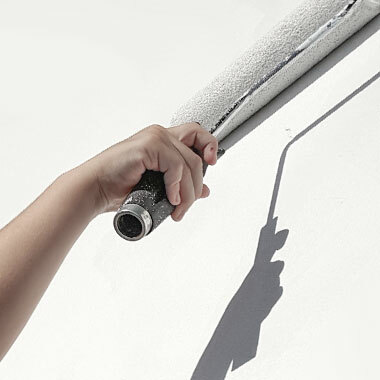 We are ideally located to handle any domestic and commercial plastering jobs in the Surrey area. Below is a list of the types of projects we have experience with as plasterers in Surrey. If the crack is not down to subsidence or movement we can skim over the surface to give you a crack free and flat wall. If there is a more serious underlying issue we will fully investigate this as this may require fixing before the surface is replastered. 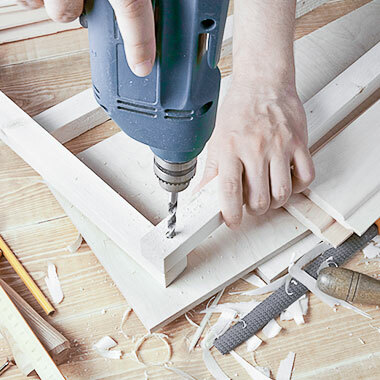 We can rectify any size of hole in the wall. For very large holes we apply plasterboard first. For a complete finish we ensure that the edges blend seamlessly with the wall. Our plasterer can skim over your walls with plaster leaving a smooth and flat finish. Hoes, such as those left when you change your ceiling lights, can simply be filled with plaster to obtain a smooth and flat finish. If the size of your new skirting is lower than the original we would skim the surfaces to blend with the wall and allow a polished finish. Coving enhance the look and feel of a room by creating some nicely defined lines. We can add coving to any type of room . There are different options depending on the style and depth of the artex. We would confirm and agree the most suitable option when we visit your location. The most popular option is often to take down the existing artexed ceiling and replace with plasterboard, though we could potentially also skim the artex with fresh plaster coats. These are just a few of the plastering services we offer in Surrey. However our skills and experience allows us also to take care of many complementary jobs. This includes adding decorative finishes, damp-proofing, waterproofing, dry-rot control, jointing and tiling. We can also fully design and install bathrooms and kitchens. Based in Surrey we offer excellent value for money for all our domestic and commercial plastering services. For a free no obligation quote you can contact us by telephone or e-mail. Our clients always receive the highest standards of service, from start to finish.